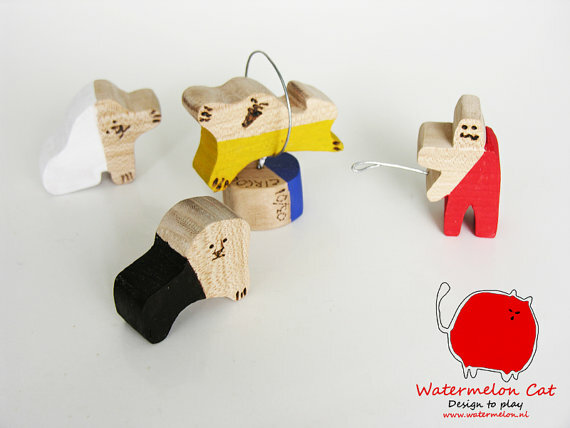 High Five for these quirky, colourful wooden toys designed by Juan Alonso and Susana Aparicio, the creative duo behind the Watermeloncat company. 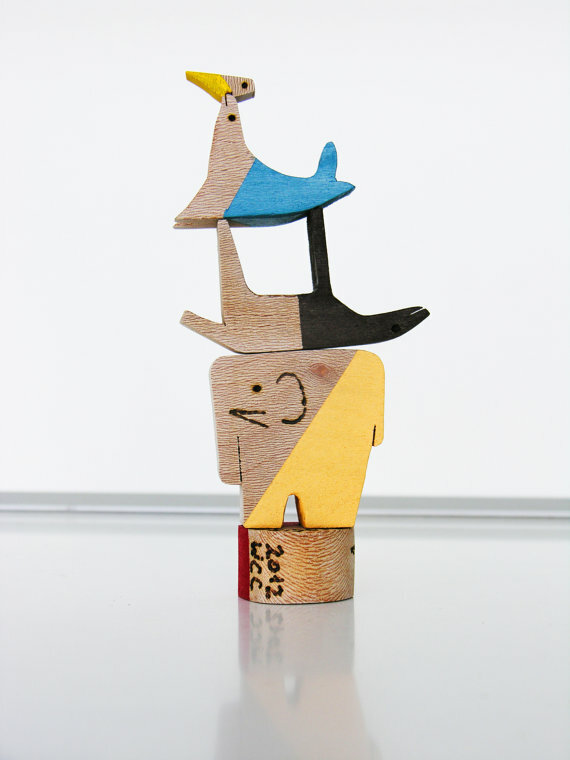 For play and display, I do love a nice balancing toy! wonderful! seems to be circus day! greetings from Paris! 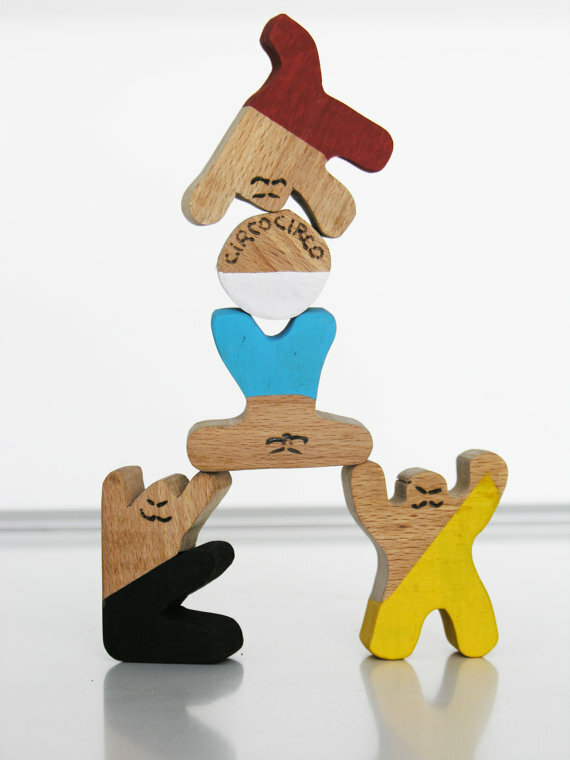 Love the balancing wrestling men! 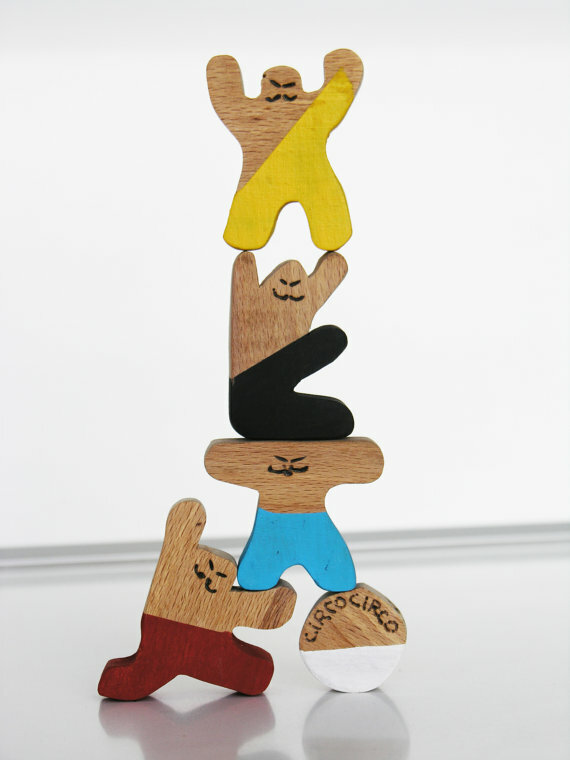 Oh, these wooden circus toys are too cute. 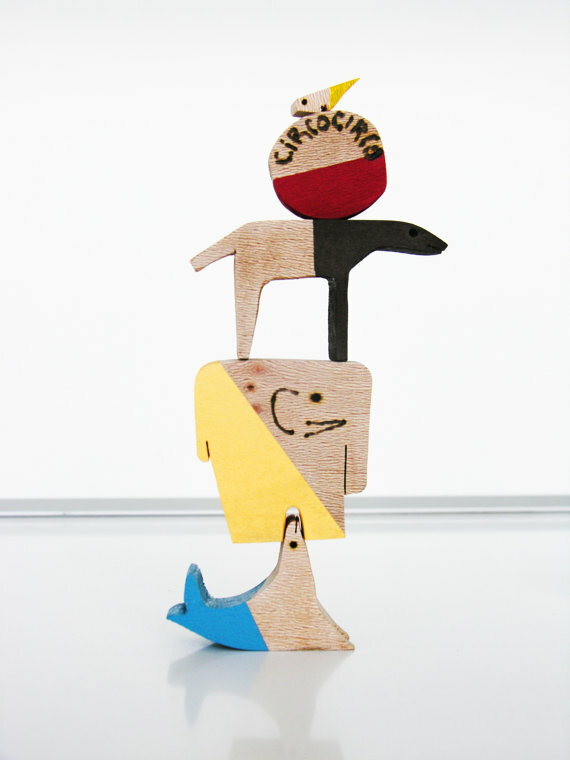 Yes, it's fun to see how you can balance and play with them. I'm crazy about the circus you know!